Here I would like to share the things I learnt during mu build, so your built can be successful. Just remember trust yourself, keep focused and you will soon be eating lovely pizzas. I start with the two biggest things I learnt which caused me the greatest pain, and had me questioning why I was doing this. 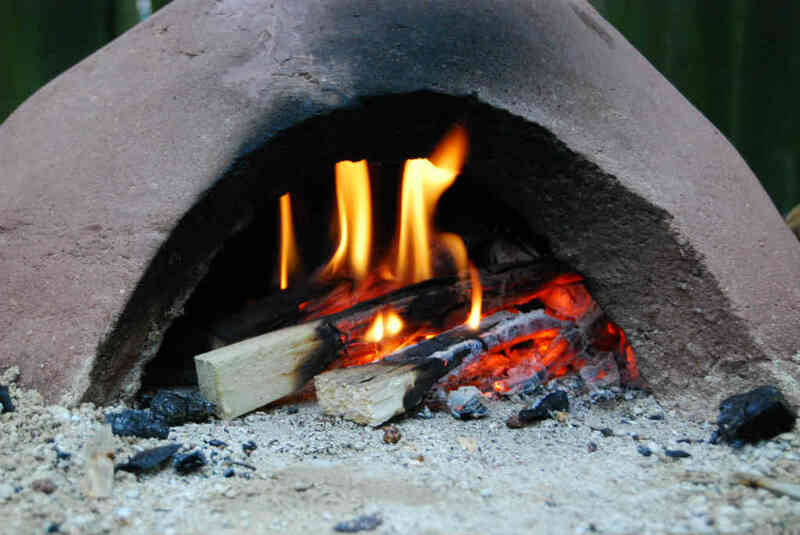 These ovens get really hot, great for cooking, but also great for a fire. It is obvious that ovens get hot, but you forget just how hot they get. You should think of it more like a kiln. Well you have already read about the disaster with the oven base, so I won’t add anymore here. 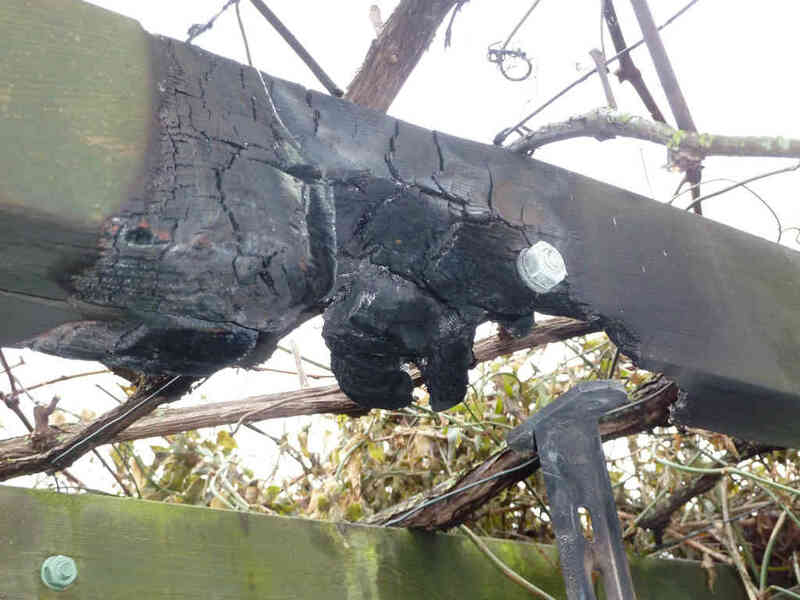 But I also had a problem with the pergoda burning so make sure you have a clear area around the top of your chimney. On a similar theme of heat, was the rapid loss of heat, and the need for good insulation. As you have read I used straw and a brick skin for insulation, but quite frankly it wasn’t good enough. It is OK for a small amount of cooking, but for a party and prolonged cooking you need good quality insulation. If I had done a proper insulated base and better insulation on the walls, I would probably still be using the clay oven today. 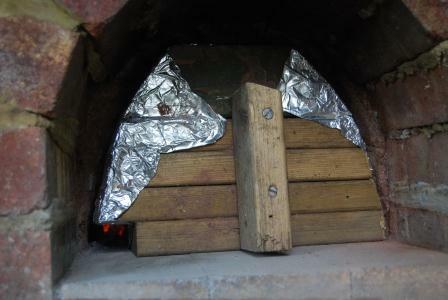 After I built my first core clay oven I had to go on holiday, so I covered the oven in a sheet of tarpaulin weighed down with bricks. When I got back from holiday I found that we had some serious storms, and the tarpaulin had been blown off and water had got to the oven. 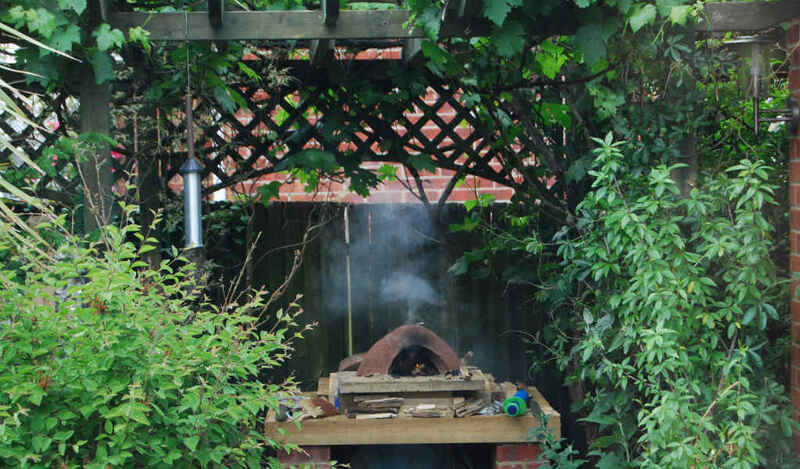 The rain had completely destroyed the oven, and I must confess I felt like crying. So always protect your oven from rain. One thing I would highly recommend is building a prototype oven first. Not a big one, or as I used to call it a “Muffin Oven”. You don’t need to worry about the base, just use an old paving slab. Nor do you need to worry about insulation. The purpose of the Muffin Oven is to learn about clay mixtures, air flow, dome size, shape and door opening. I have talked a lot about the clay mixture, but nothing beats a trial run. This way you can see what works for you and what mixtures bond best. 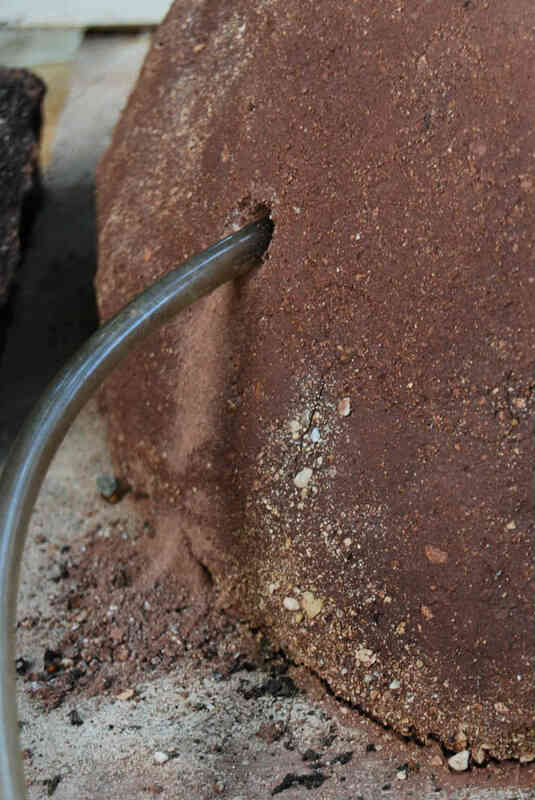 You can then fire up the Muffin Oven to see your clay mixture cracks. Don’t worry the clay won’t be wasted, once you are finished break it up and put the clay in a bucket of water. 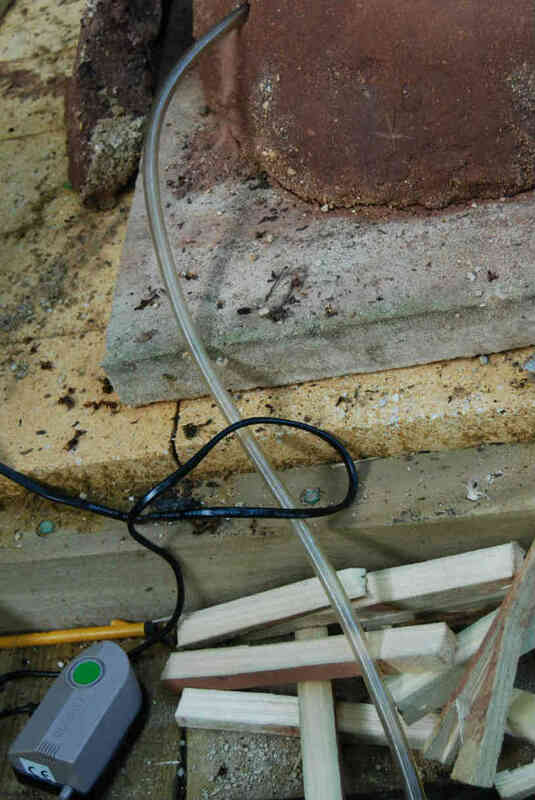 Here you will learn how easily clay will go back to its old state when in contact with water. With the Muffin Oven, after a few burns I got quite a big crack and the clay bricks didn’t appear to have bonded that well. When I made the main oven I added more sand and I also made the mixture wetter. Another think I learned from the Muffin Oven, was air flow and combustion. When I built the oven I went with the recommended height, but I found I had trouble maintaining the fire. Basically the roof was so low the smoke was not flowing out and smothering the fire. I tried to alleviate the problem by drilling a small hole in the back and pumping in air via an old fish tank pump. 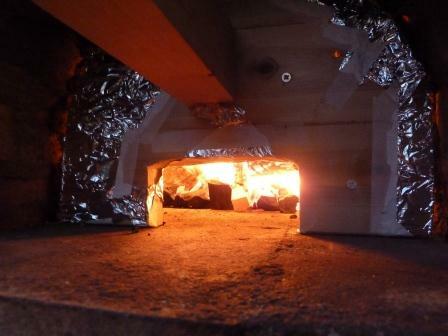 Unfortunately this did not resolve the problem, so when I built the final oven I built it with a higher dome. I have not had any problems with the master, but I wonder how much of that is down to the chimney I added. I can’t stress how important it is having a chimney and the draw affect. I have a tall chimney which gives a good draw and subsequent airflow over the wood. To give you an idea of how good it is, one time when I had a good fire going, I had roaring flames coming out of the chimney, and the chimney is four foot high. 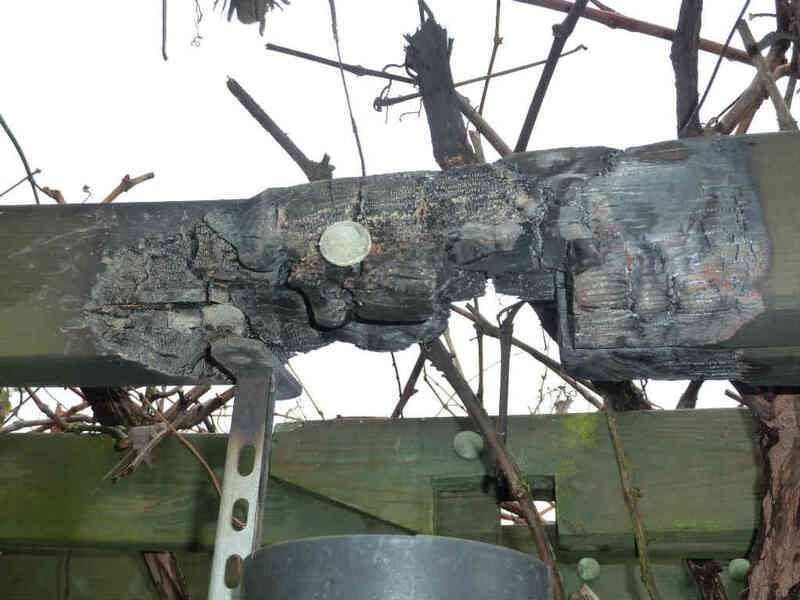 Do a search of rocket stove on youtube, and you can see the sort of thing I mean. Next time I build a clay oven, I will probably go for a lower dome height with a good chimney. I would also be inclined to go with a smaller diameter, and one with a damper.